The BattleComp 51.0 is a one-piece unit manufactured from 17-4PH Stainless Steel. ALL BattleComp units are California Legal Compensators and have been since May of 2010. 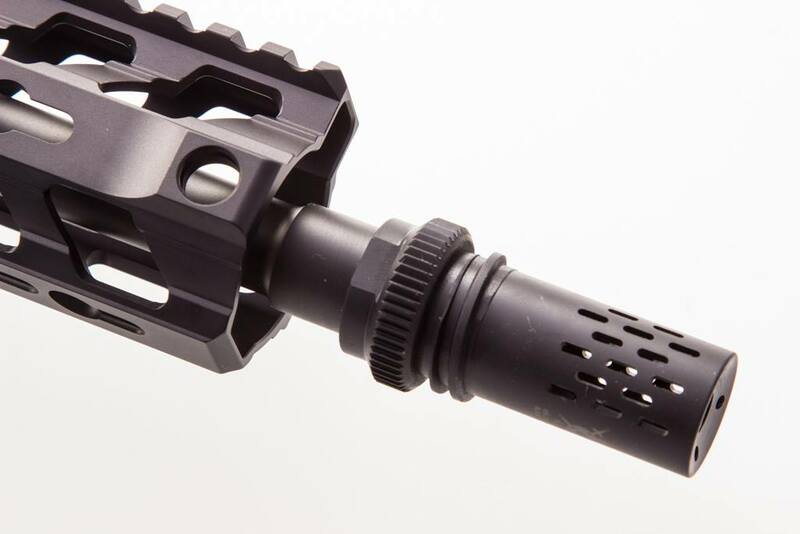 The BC 51.0 will integrate with those suppressors using an AAC 51T-style interface.BC51 series units are long enough to make 14.5″ barrel over 16″ in overall length, as BC51 variants are 2.39″ in overall length. The BC51.0 works with AAC silencers, as well as the Silencerco Saker with MAAD Mounts. The BattleComp 51.0 is a one-piece unit manufactured from 17-4PH Stainless Steel. 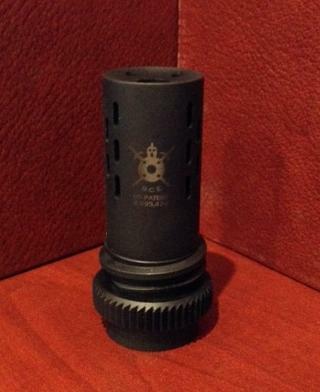 The BC 51.0 will integrate with those suppressors using an AAC 51T-style interface. BC51 series units are long enough to make 14.5″ barrel over 16″ in overall length. BC51 variants are 2.39″ in overall length and weigh just 3.3 ounces. 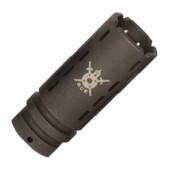 This suppressor adapter comes in a Black Melonite finish only. ALL BattleComp units are California Legal Compensators and have been since May of 2010.